An Old AC Can Drive Up Energy Bills and Need Regular, Costly Repairs. The hottest periods of the year see central air conditioners in almost continuous use. This aside, most homeowners ignore their HVACs until the need for major repairs arises. In most cases, a small fix or service can avert these expensive problems. At Mission Critical Comfort Solutions, air conditioning installation and a range of other services allow you to properly care for your home's comfort needs. From planned maintenance, to repairs, replacement, and new installations, we represent the team you can trust. If you need AC work in your home, or if you fear your old unit has given up the ghost, give us a call today at 478-960-5825. 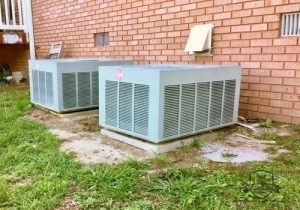 Our expert technicians render exceptional service for air conditioning installation in Bonaire and Warner Robins, GA.
A few different signs exist of the need for air conditioning replacements. In some cases, the homeowner must weigh the expense of repair against the cost of a new system. New Air Conditioners Can Save You Money and Leave Your Home More Comfortable. Old Age: Simple old age represents a leading cause for air conditioner replacement. The average unit can persist for between 10 to 15 years. Once it reaches or surpasses this length of time, the cost and frequency of repairs make continued service impractical. Major Repair: Along these same lines, a major repair like compressor replacement can make a new installation the more attractive, cost-effective choice. If you need advice along these lines, you can trust the opinions of your Mission Critical Comfort Solutions technician. High Bills: Older air conditioners do not have the same energy efficient qualities of new models. An aged air conditioner may also work harder to keep your home cool, activity that will also drive up utilities. If you’ve become tired of high monthly bills, a new, efficient air conditioner provides an attractive solution. 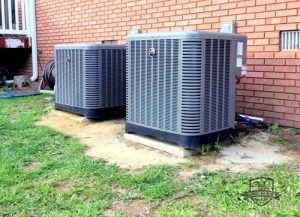 Aside from installation, we offer a wide range of air conditioner services for both residential and commercial clients. Regardless of the work you need, you can depend on our highly skilled team. Residential AC Repair Regardless of the issue, our experienced techs can render impeccable service on all types of residential air conditioners. Commercial AC Repair Our experienced contractors have all the requisite skills to service complex commercial air conditioners. Refrigerant Recharge If your air doesn’t seem cold enough, you likely need a refrigerant recharge. We’re your local source for this operation. Ductless AC Systems These easy-to-install, highly efficient systems can provide air conditioning practically anywhere. Emergency AC Repair When an air conditioning emergency strikes, you may not be able to wait until business hours. Luckily, we remain available 24/7. Air Duct Installation Air ducts perform the actual conveyance of air around your home. When you need proper installation, go with our team. Energy Efficient HVACs Newer HVACs have drastically improved energy efficiency as compared to older models. Give us a call if you need installation. Whole House Air Filtration A whole house air filtration system can make your home’s air safer, cleaner, and more breathable. HVAC Maintenance Plans To get the most use out of your HVAC, you need regular service. Partner with our team for a maintenance plan that works for you. For any needs whatsoever with your central air conditioner, including air conditioning installation in Bonaire and Warner Robins, GA, trust the experts at Mission Critical Comfort Solutions. We offer reasonable, thorough services delivered with a sense of integrity. To learn more about our services or schedule a consultation, give us a call today at 478-960-5825. Updated on September 20, 2018 at 3:48 pm by Mission Critical Comfort Solutions.